Hanson Robotics creates amazingly expressive and lifelike robots that build trusted and engaging relationships with people through conversation. Our robots teach, serve, entertain, and will in time come to truly understand and care about humans. This product is only available to US and Canadian customers. 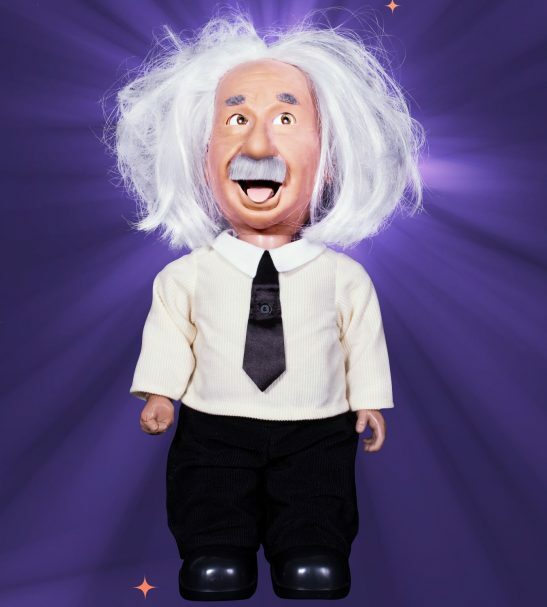 Professor Einstein WiFi Enabled Talking Robot who Plays Brain Games & Teaches Science. Be as Smart as Albert Einstein. Realistic Facial Expressions. Voice Recognition. Android & Apple Compatible. 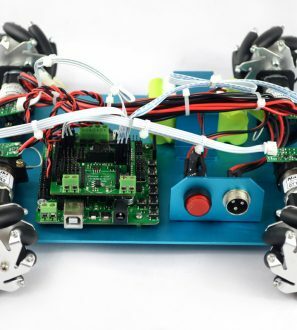 The playful Robot that teaches science and plays brain games.This endlessly entertaining and educational Wi-Fi-connected robot lets you interact with the authentic Einstein, the most beloved scientist of our time. He teaches actual Einstein theory of relativity, gravity, and space time. 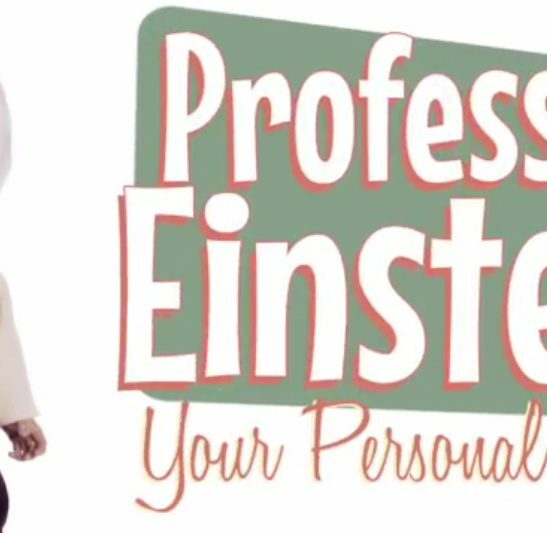 Science Tutor Professor Einstein is your Personal Genius and guide to a world of wonderment! He loves to have a conversation using his speech recognition engine. Professor Einstein will respond with accurate answers, plus add his own funny comments, facial expressions, body movement & hand gestures. Professor Einstein will talk with you, share his passion for science and challenge you with brain games. He connects via WiFi to the Cloud and interacts dynamically with Apple & Android Smart Devices. He’s a walking, talking Genius who listens, reacts and responds to your questions! Challenge yourself against one of the greatest minds in history. With increasing levels of difficulty, Professor Einstein’s brain teasers are a fun, educational way to stay sharp! 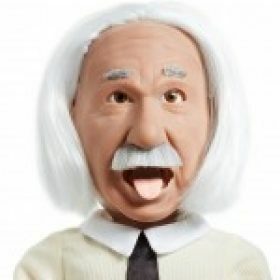 5 Robot Motors in Albert Einstein give him over 50 Realistic Facial Expressions & Body Gestures. 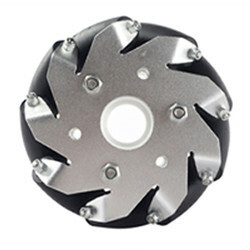 Engineered from scratch by the creative minds behind Sophia, from Hanson Robotics. Professor Einstein features a Body Camera to see objects in front of him & Motion Sensors to detect the edge of a table where he’s walking. Directional Sound allows him to hear where you are in the room, and turn his head to talk to you. Download the Free Stein-O-Matic App on your favorite Smart Device. The 15” Tall Professor comes ready to challenge you with 20 pre-loaded Brain Games, Videos, Learning Modules, Data Cards, and Quizzes. 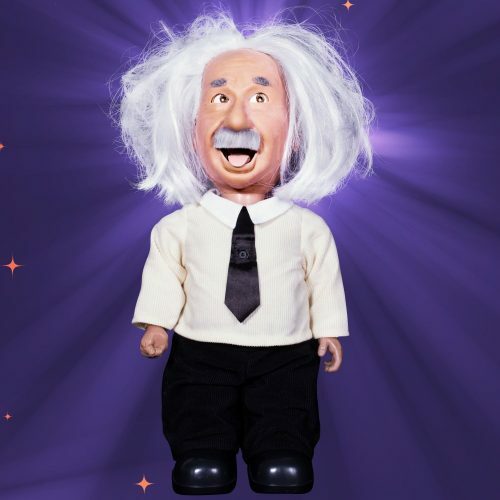 At 15-inches tall, Professor Einstein is the perfect science and math tutor for home. Ask him about science, math, famous historians, even the weather! What? Where? & Why? He’s a wonderful teaching aid for classroom instruction. Allows students to learn at their own pace. Why is this product not available for other countries other than the US and Canada? We do not have customer service support nor the certifications required to sell outside the US and Canada for this product. 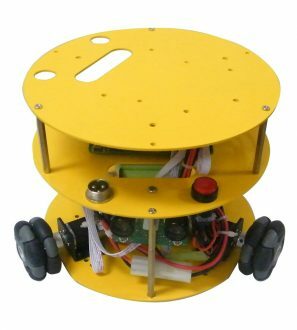 Manufacturer and seller of Professor Einstein Wi-Fi Enabled Talking Robot who Plays Brain Games and Teaches Science. We aim to create a better future for humanity by infusing artificial intelligence with kindness and empathy, cultivated through meaningful interactions between our robots and the individuals whose lives they touch. 30 Days. All Products must be packed in the original and unmarked packaging including any accessories, manuals, documentation, and registration that shipped with the Product. Damage and missing part restocking fees may apply. Shipping and handling charges, gift wrap fees, and taxes paid (e.g., state, customs, VAT) are not refundable. 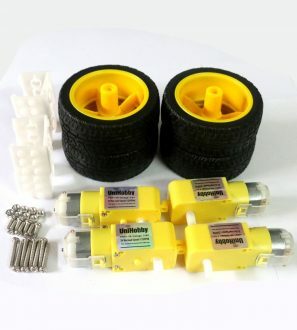 You are responsible for and must prepay all shipping charges and you shall assume all risk of loss or damage to the Product while in transit to Hanson Robotics. If you return Product to Hanson Robotics (a) without a RMA, (b) beyond the 10-day RMA issuance period, or (c) without proper packaging, we retain the right to either refuse delivery of such return or charge you a restocking fee. The time to credit your account may vary, depending on processing time.